I read this book in one day while sitting along the Rio Grande. It sounds poetic but it wasn’t. Bug bites, lightning, nagging work duties, etc., but the book just kept pulling me back. “I just left you alone until you were done,” my wife said. Thankfully. If you like interesting characters, beautiful description of the West and having your blood boil over what you know this book of fiction is alerting us about actual fact. Get it, read it. This man is a very interesting find for you, Daniel. 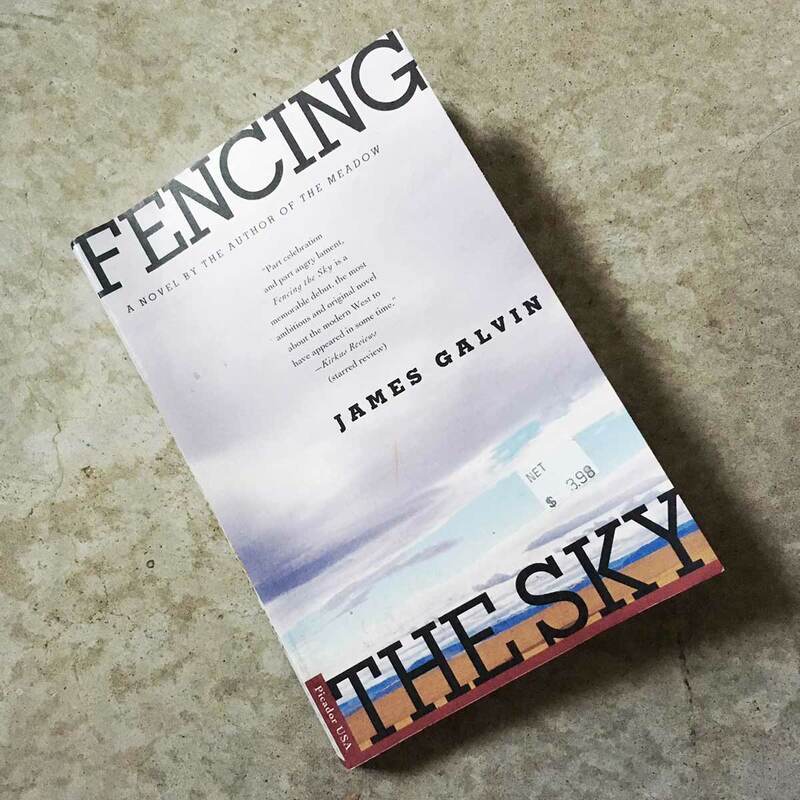 I haven’t read the books, but do you have any sense of your ‘golden time’ in the West being James Galvin’s time when it had all gone to ruin – or at least the beginning of ruin? I’m reminded of Scottish comedian Billy Connolly, who once noted that he felt nostalgia for his home town of Glasgow, the people, the rain on cobbles etc. – but then realised that what he really felt was nostalgia for his youth. I’m wondering if our sense of home – that seems sometimes hard to find – is our past? I also note, when complaining about the amount of traffic on the roads, that to the young drivers whizzing past me this is normal. To them it has ‘always been this way’. I’ve never thought of my youth. It’s gone is how I’ve always viewed it. There was a single mountain dead center in the middle of our property. When we lived there it was a mountain. There is now the remains of a seven million dollar house on top, which was built after the lopped off the top of the mountain itself. This house burned to the ground after a lightning strike. Then you have the road they carved up the mountain, and then the debris field left behind. And now to get there you drive through 40-acre ranchettes. My issue is many people don’t understand what doing these things does to the land, water, resources, animals, migrations, air quality, etc. Not like it’s going to end anytime soon. People are promised a piece of paradise and when they buy in they begin to erode their own promised land. I have zero faith in our species, so I’m swimming upstream here. I’m swimming with you. When we loose our connection to the land and just treat it as a ‘resource’, we are in trouble. One of my favourite photographers who shows this so well in his work is Larry Towell. LT is the man. A farmer. Cool guy. Some of the best books ever.